NEED FOR SPEED: Could a major shift be coming to the Rebels? 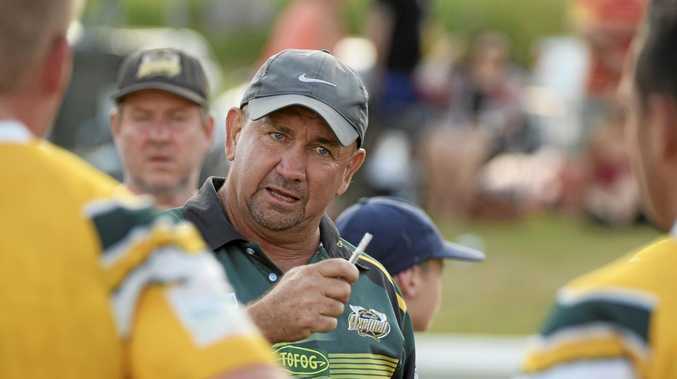 RUGBY LEAGUE: Two-time premiership-winning coach Col Speed has refused to buy into rumours that he is in line to take over the first grade reins at the South Grafton Rebels for the 2019 Group 2 season. Speed, who has led a resurgence at the Orara Valley Axemen over the past two seasons, was a back-to-back Clayton Cup-winning coach with the Grafton Ghosts before also leading the Coffs Harbour Comets to three straight Group 2 deciders. With Rebels coach Ron Gordon stepping down from the first grade role for next season, instead turning his focus to the club's burgeoning under-18 ranks, the South Grafton club needs a new leader. The rugby league rumour mill has quickly swirled around the topic, with suggestions a move back closer to home would be just what the doctor ordered for Speed. The Axemen's season was ended at the hands of Macksville Sea Eagles in the minor semi-final on Saturday, but Speed was unwilling to confirm whether he was in understood talks with the South Grafton club. "I haven't made a decision as to where I will be coaching next season,” Speed said. The Group 2 'supercoach' has lifted the Axemen to new heights since instilling a five-year plan at the club. This season they finished second on the first grade ladder behind the Ghosts, but were bundled out of the finals in straight sets. "I think our progression plan has continued working. To come second on the ladder this season, the players can be very proud of what they have achieved,” Speed said. "Our goal was to play semi-finals football and we achieved that. We have got a very young and very light squad, when it comes to playing finals it is another season altogether with a much higher intensity.